A couple of years ago I was visiting my 97-year-old mother and the conversation turned to significant people in our lives. She got a wistful look in her eyes, and she said, “My mother died fifty-five years ago, and not a day goes by I don’t think about her. And I miss her.” My frail little mother died in June 2017 and I know exactly what she meant. Not a day goes by I don’t think about her, and I miss her. I chose the word myth, not in the definition of a story but in the sense of a popular belief that has grown up around the ideals or institutions of a society, a kind of notion or worldview that may be unfounded, unverifiable, even untrue. The word closure means ending, closed up like a pocket zipped tight so nothing can get out or get in. I believe the idea of closure after the loss of a loved one, zipped up tight, is not helpful nor is it desirable in our journey in grief. It’s a myth. In our United States culture, the expected and valued goals are to fix, cure, win and solve. Living with loss is discouraged. The popular idea is that you are supposed to get over it and do so quickly. The goal is to detach emotionally, to move on with your grief. As we who have lost a loved one know, the reality of grief is far different from what the outside world thinks. My message to you is you don’t need to move on. You are in pain. What has happened to you hurts. You don’t need to be fixed. The loss you’ve had cannot be erased and made right. What you need is someone to see your pain and acknowledge it while you stand in horror at the hole in your heart. Everything is different now. 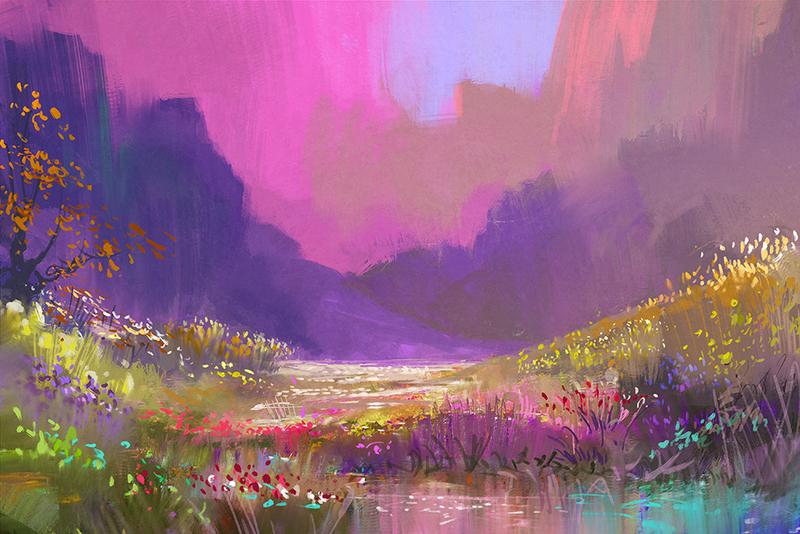 Intelligent, well-meaning people start trying to cheer you up, trying to take away your pain: “He’s in a better place,” “She wouldn’t want you to be sad.” “You are young and talented and you’ll find a new partner,” “Everything happens for a reason,” “You’ll find a way to use your pain for some good.” Etc., etc. Platitudes! This kind of cheerleading only makes you feel worse. Grief feels bad but that doesn’t mean it is bad. You feel crazy. Yesterday I felt crazy but that doesn’t mean you and I are crazy. Grief is hard. Love is hard. The truth is we need to tell the truth – the truth about our loss, our lost lives. I have heard many times in grief group sessions that what the outside world believes and what participants know to be true is often one of the hardest aspects of grief. Family and friends, co-workers and neighbors simply want your pain (and therefore, their pain) to go away, but there it is - that pain howling and raw and real. I believe our culture needs a big shift somehow. We don’t need grieving people to feel shamed, shunned, and avoided. We need to give them a listening ear, a caring space to be who they are, where they are, feeling whatever they are feeling, speaking about and through their tears. Grief is not an illness, it is not something to be glossed over. The best intentions to comfort, to make it go away, can backfire when what is needed is validation. When someone tries to comfort you by telling their own story of suffering and loss, they intend to connect. But what happens is the focus shifts away from you. Your reality is dismissed which is exactly the opposite of what they meant to do. We are never in the business of “my grief is worse than yours.” Every loss is valid. Every loss is not the same. Every story needs to be told and every loss needs to be heard and acknowledged. True comfort comes in acknowledging the pain, not in trying to erase it. Life-changing events change us. Loss gets integrated, not overcome. Grief is not an experience to be solved; it’s an experience to be carried. We need to build programs and places that offer a space where those who mourn the loss of a loved one may find – and receive – support and comfort that helps them live with their reality. Companionship, not correction, is what is helpful for mourners working their way through their own true path inside their loss. The stages of grief model developed by Kubler-Ross suggests that there is an orderly, predictable pattern to go through as you grieve, but that is misleading. 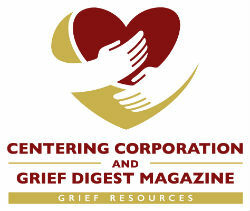 Grief counselors have made a corrective to any linear notion of the grief process. Grief is not tidy, nor is it predictable. It is unique to each person and to each loss. Those of us who have had multiple losses will whisper “Amen” to that; it is unique to each loss. Despite what many in our culture believe, there is no road map. Each person has to bravely carry his/her own story of what cannot be fixed. What has happened to you has hurt, has broken your heart and changed your world forever. We have been cracked open by the loss of our loved one. We are like leaky pots with a story we need to share for each other. We need to do this with each other because pain happens. Loss and grief happen. In telling and listening we can teach our culture how to simply show up and be present to what cannot be changed, to honor and respect cracked, leaky pots. “A man once saw a butterfly struggling to emerge from its cocoon, too slowly for his taste, so he began to blow on it gently. The warmth of his breath speeded up the process all right. But what emerged was not a butterfly but a creature with mangled wings. My intent in telling you this story is to urge you to stay close to your heart and carve out your own path using patience and self-compassion. Be gentle with each other’s hearts (those of family members, brothers, sisters, children and co-workers and beyond) as well as your own. Your way thru grief will be made by you in ways that are unique to your mind, your heart, your life context, your timetable. You need not hurry. Your story of love and loss does not need to end, to be tidied up and be put away. It simply needs to be carried. I repeat, it simply needs to be carried. You don’t need to recover or return to an old “Normal.” Closure is not the goal. I suggest you simply honor the relationship and carry it with you. My mother missed her mother and I will miss my mother for as long as I live. My wish for you is a softer grief that is not about moving on but moving with – an integration of all that has gone before, all that you are being asked to live with today and going forward one day at a time. Nell is mother, grandmother, great grandmother, religious educator, retired librarian and author. Her books of meditations include Not Alone: Encouragement for Caregivers, The Struggles of Caregiving and A Widow’s Prayer: Finding Grace for the Days Ahead (Upper Room Books). They are based on her experiences as a caregiver for over seven years and her subsequent first two years as a widow. She is a facilitator and board member for Growing thru Grief - an open, free, confidential, weekly program that offers support and education for those who have lost a loved one.